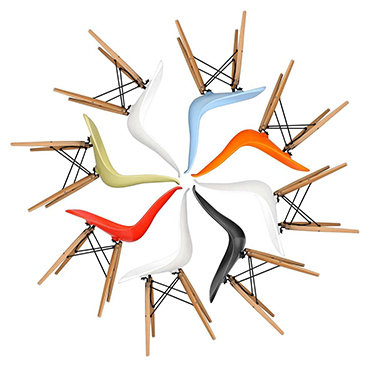 1917 (United States) American architect and furniture designer, Florence Knoll Bassett was born in Michigan in 1917. She studied under Mies van der Rohe and Eliel Saarinen, before becoming a protégé of Eliel’s son, Eero Saarinen. In 1946, Florence married Hans Knoll and formed Knoll Associates, which worked to revolutionise interior space planning. They believed in “total design”, which embraced architecture, manufacturing, interior design, textiles, graphics, advertising and presentation. Florence’s application of these design principles to solve space problems transformed the standard practices of the 1950s and is still widely used today. For her outstanding contributions to architecture and design, Florence Knoll was accorded the National Endowment for the Arts' prestigious 2002 National Medal of Arts.